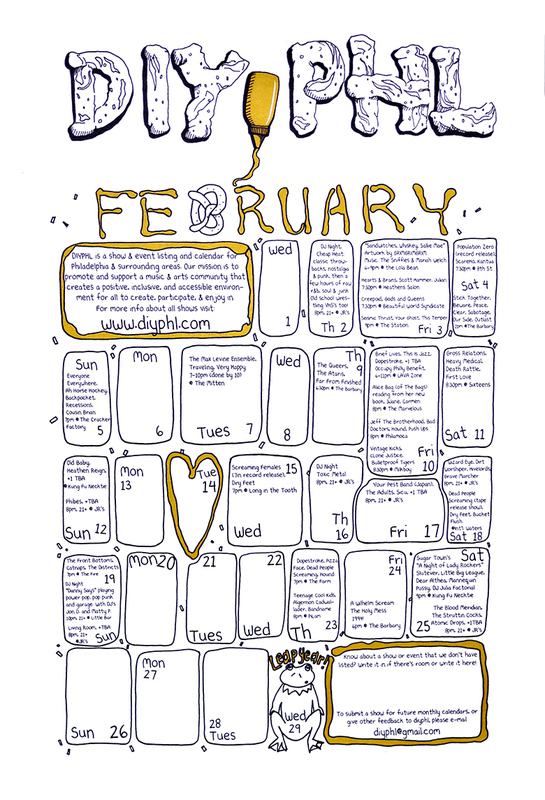 Each month, a different artist graciously donates their time and talent to design artwork for a print calendar for DIYPHL. 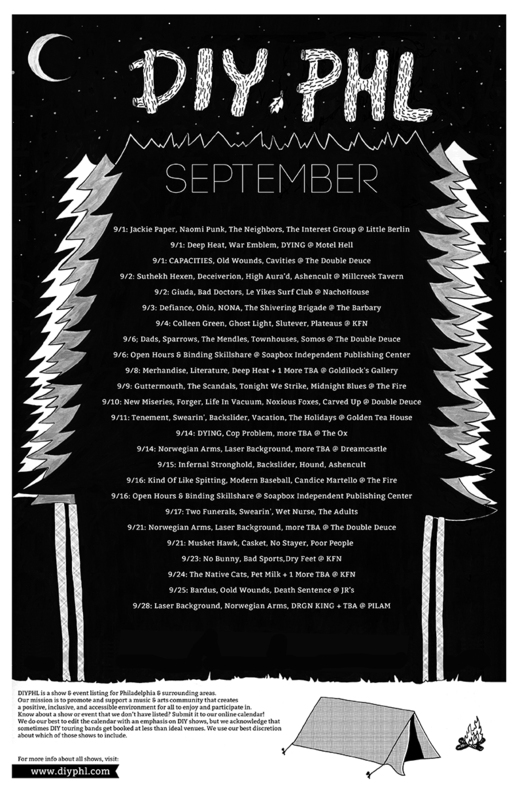 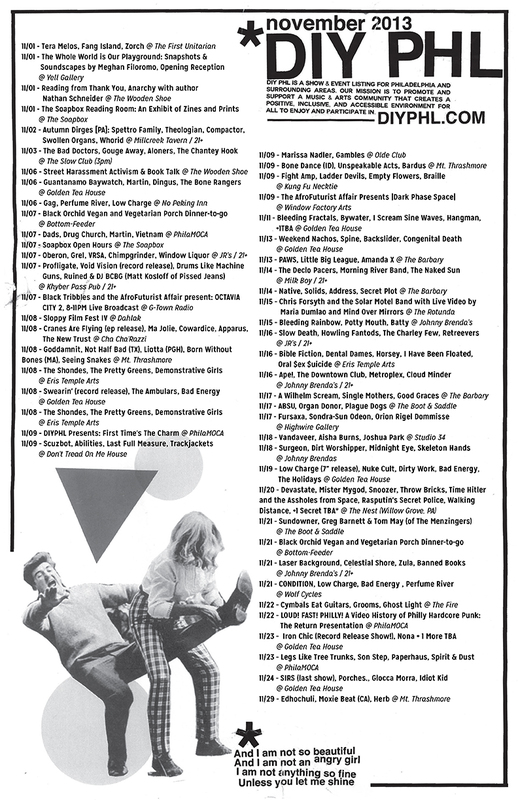 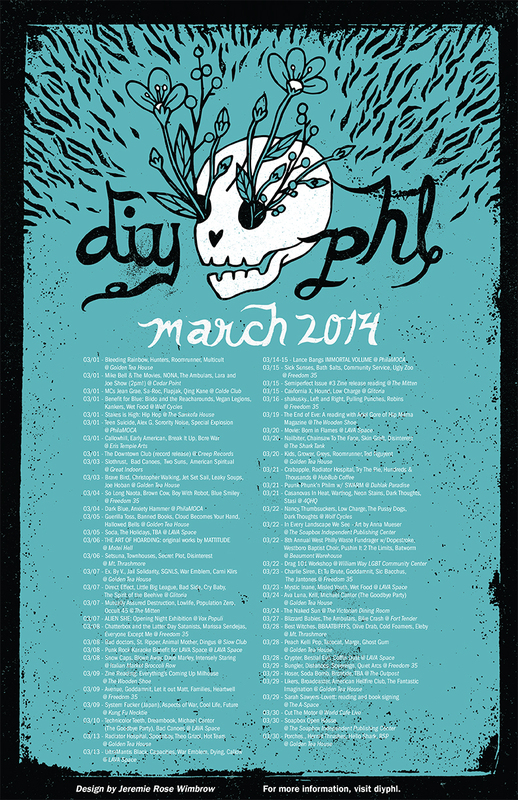 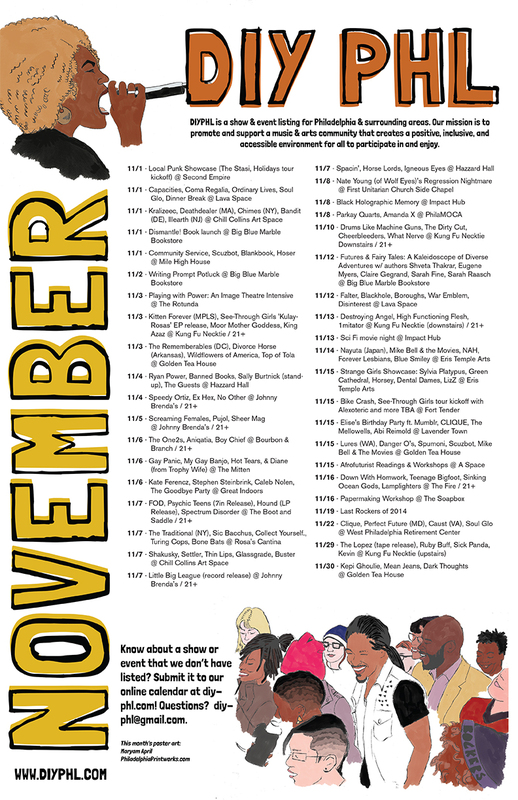 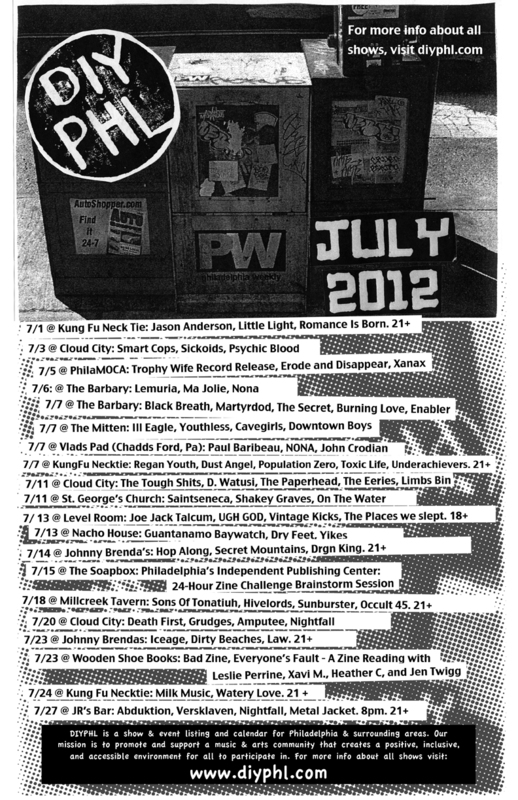 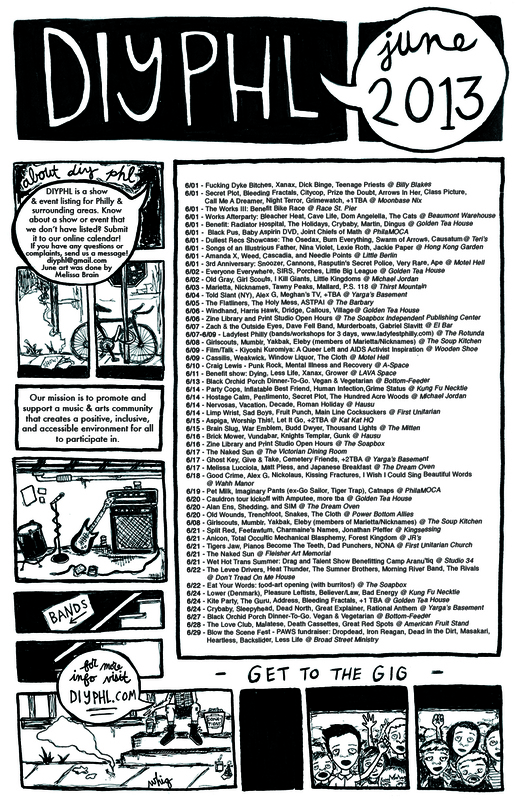 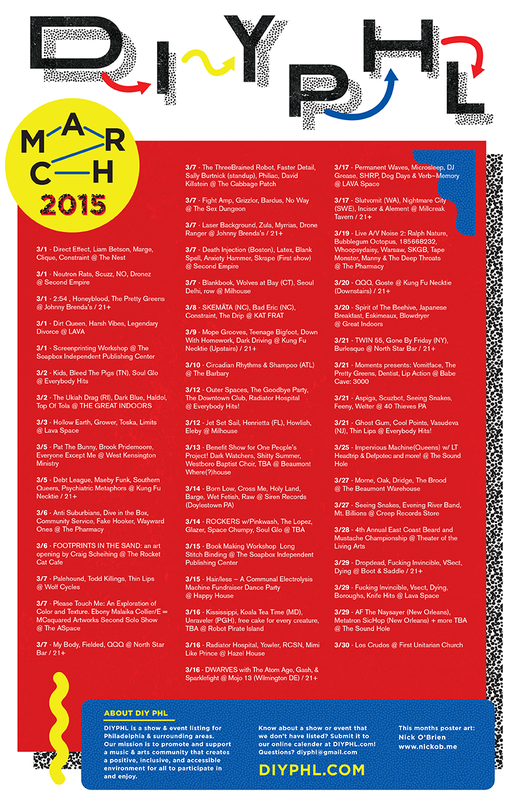 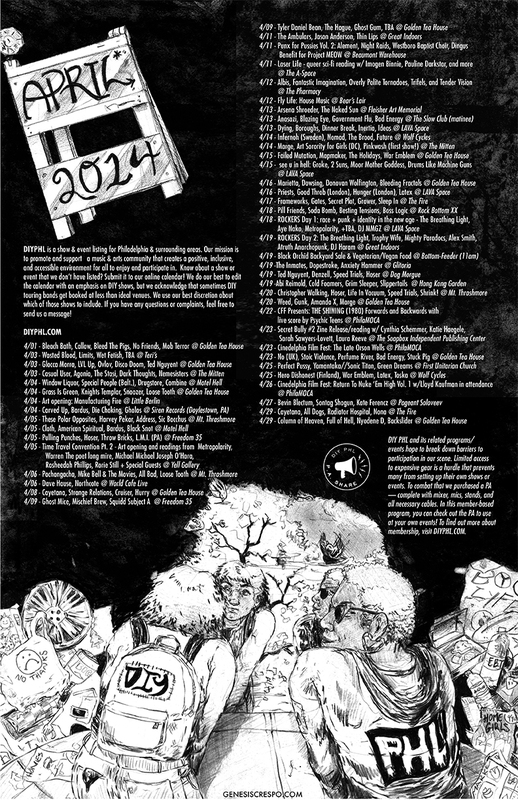 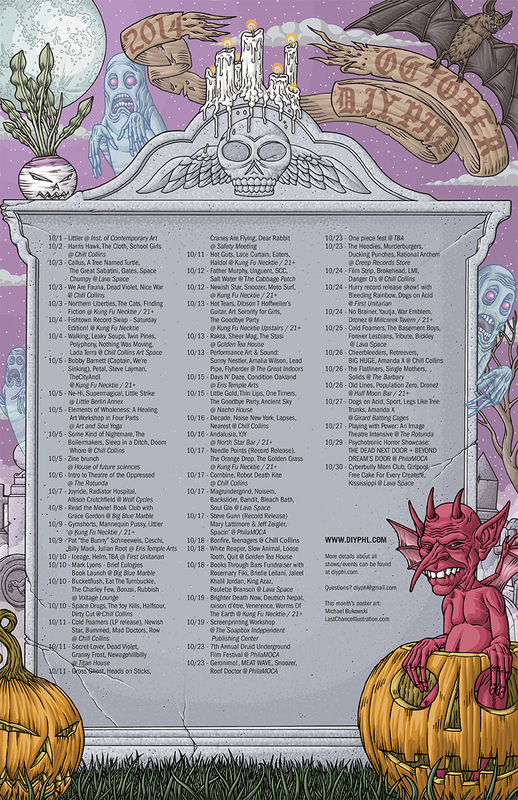 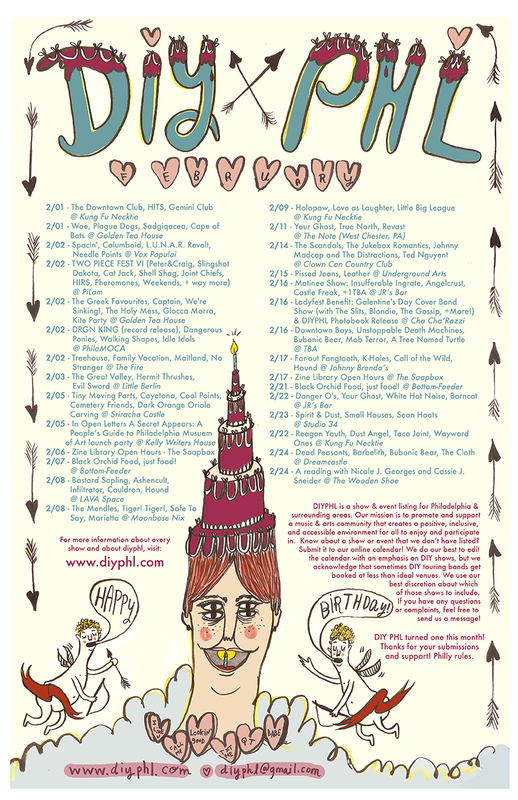 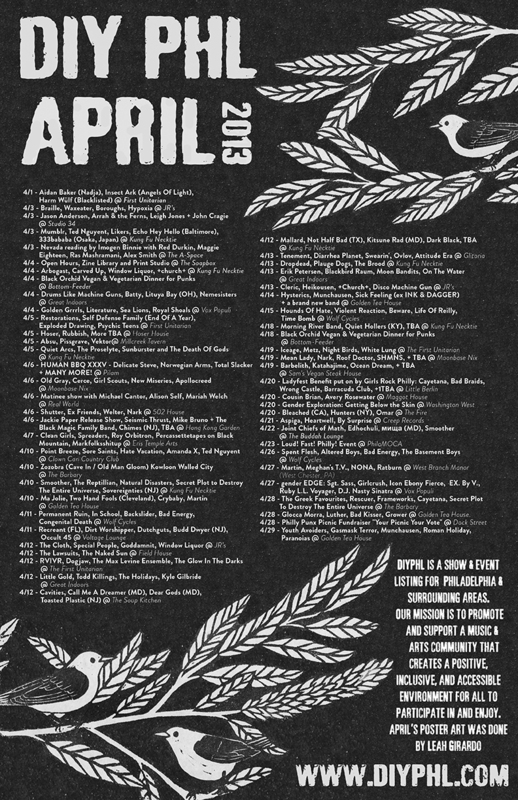 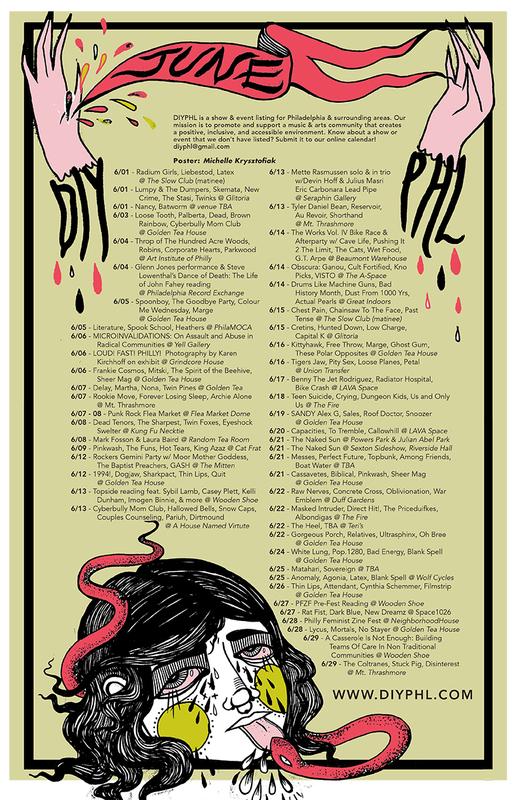 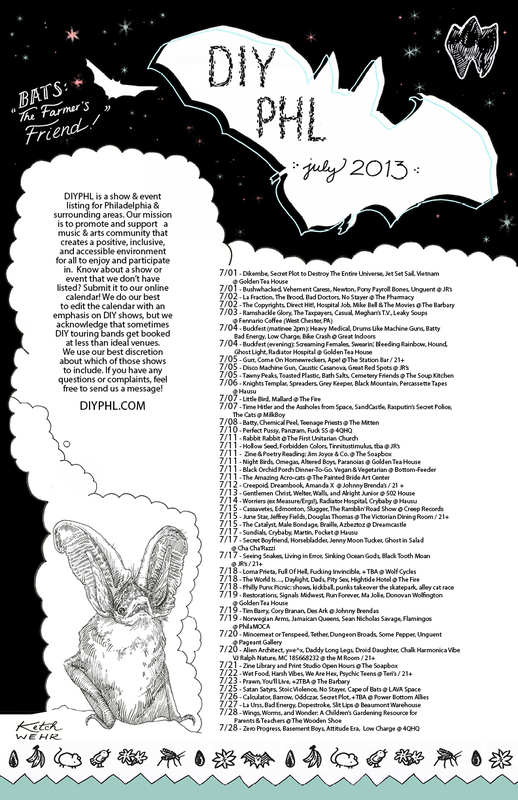 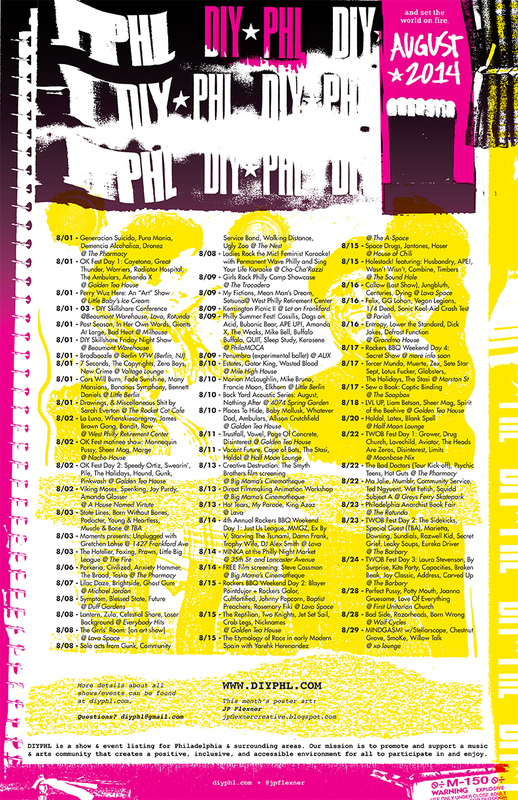 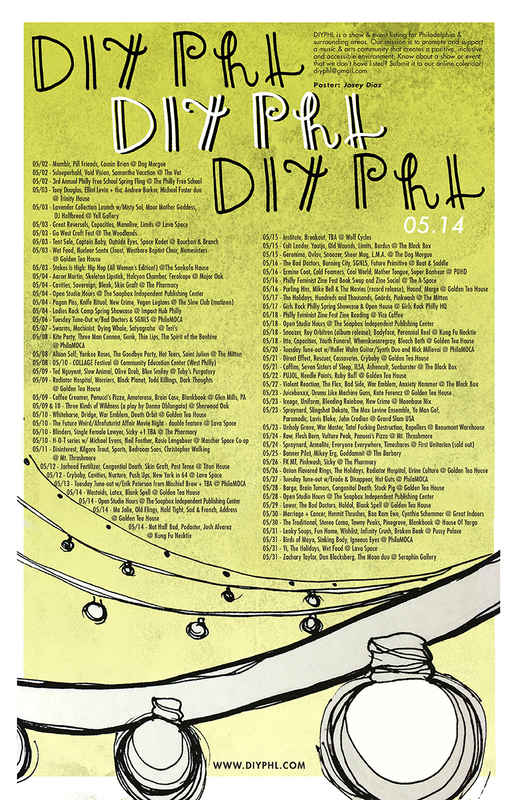 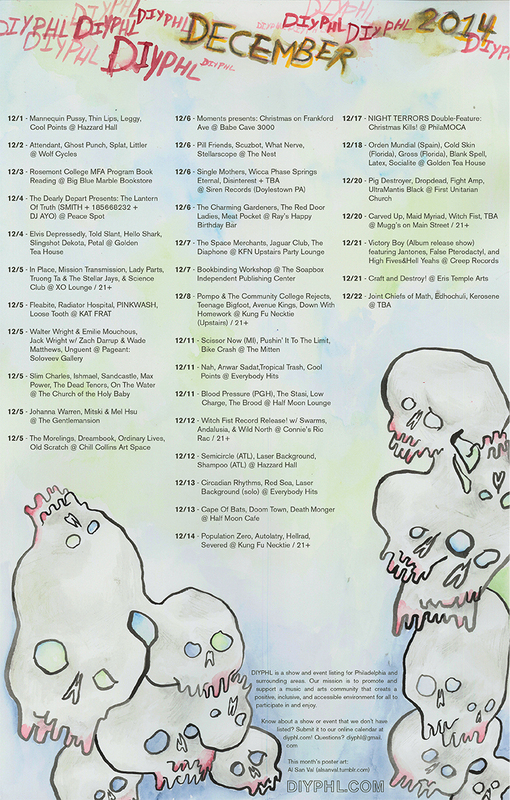 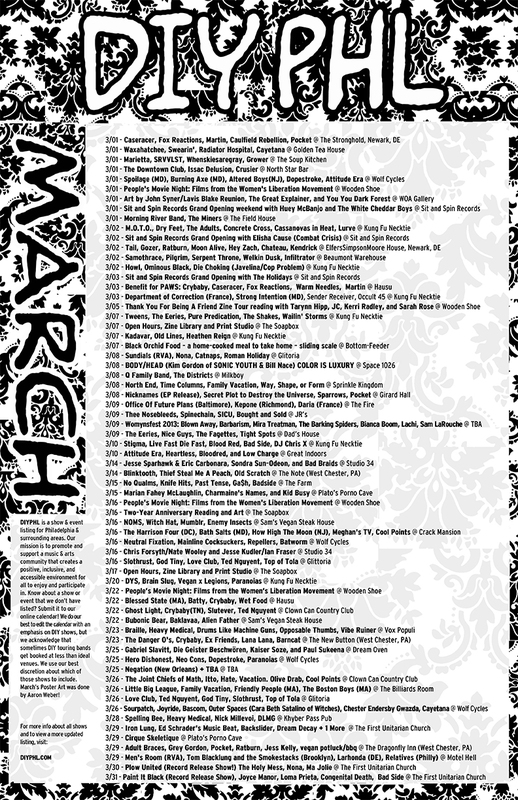 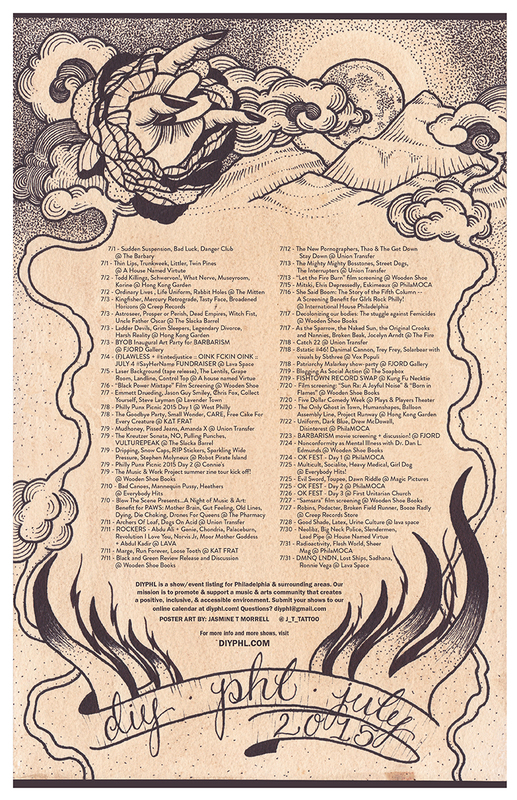 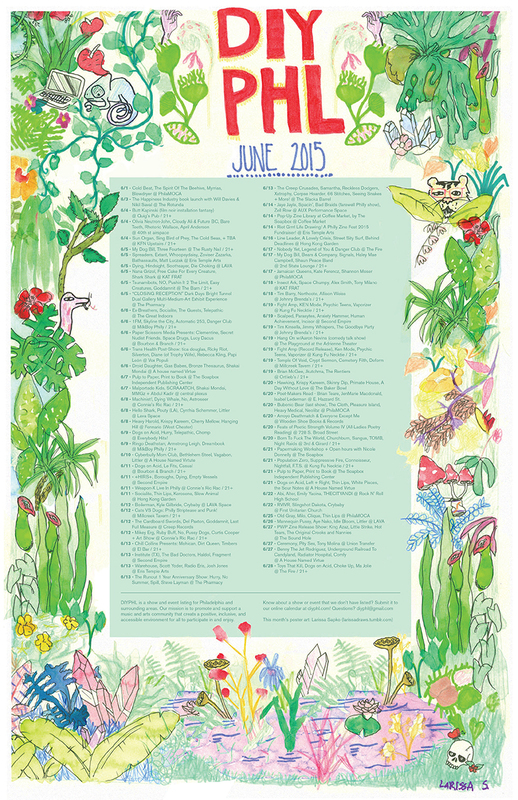 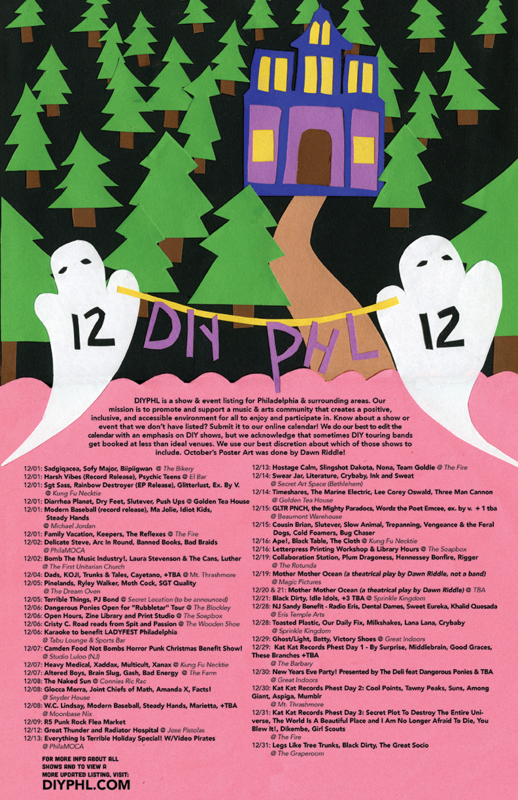 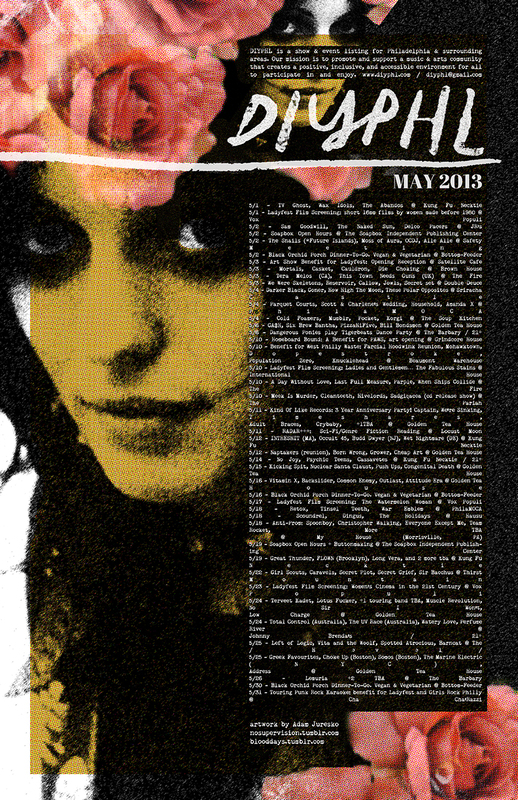 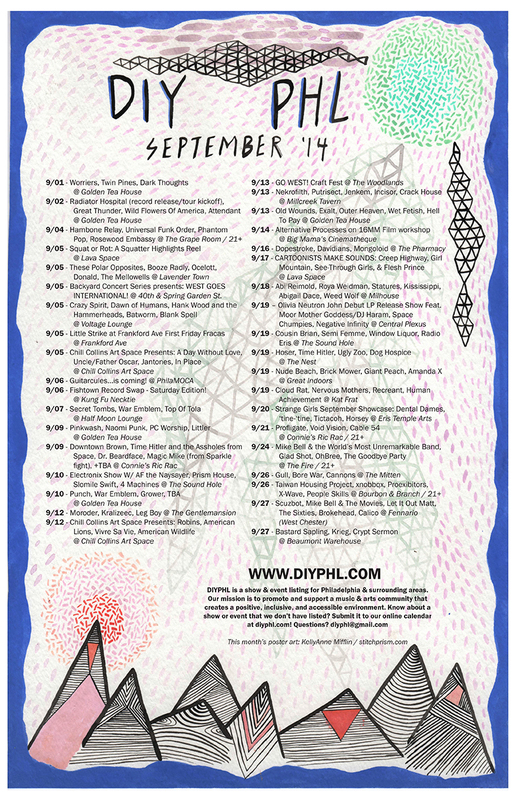 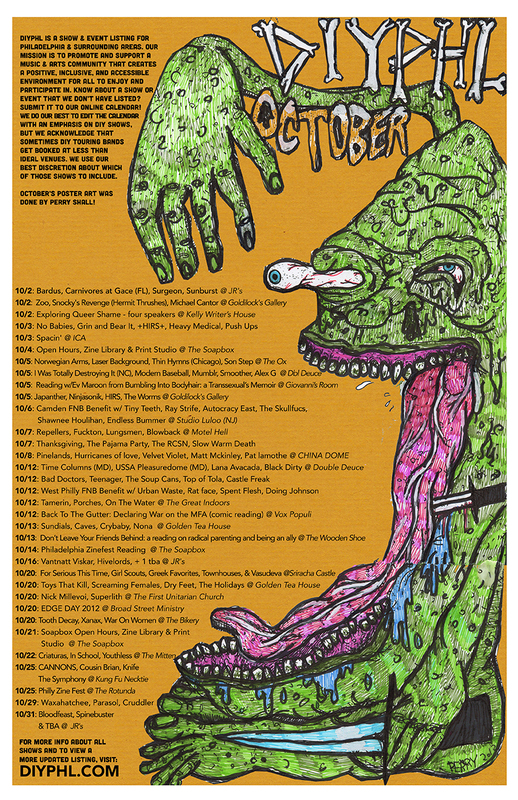 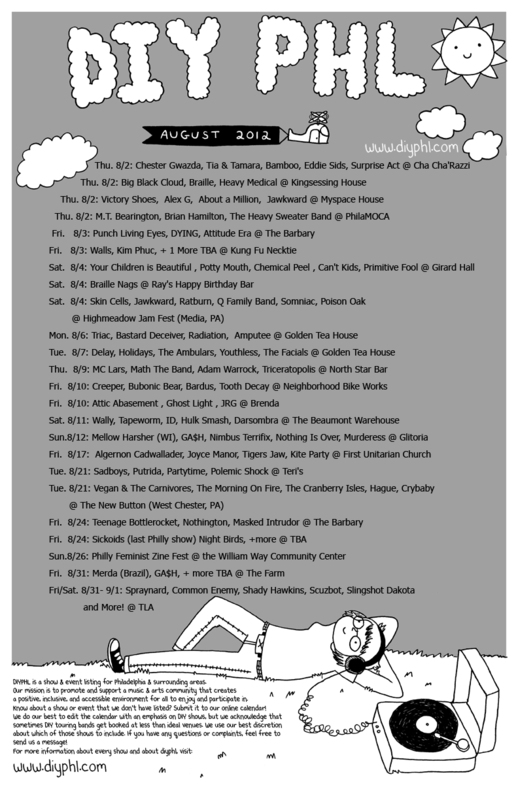 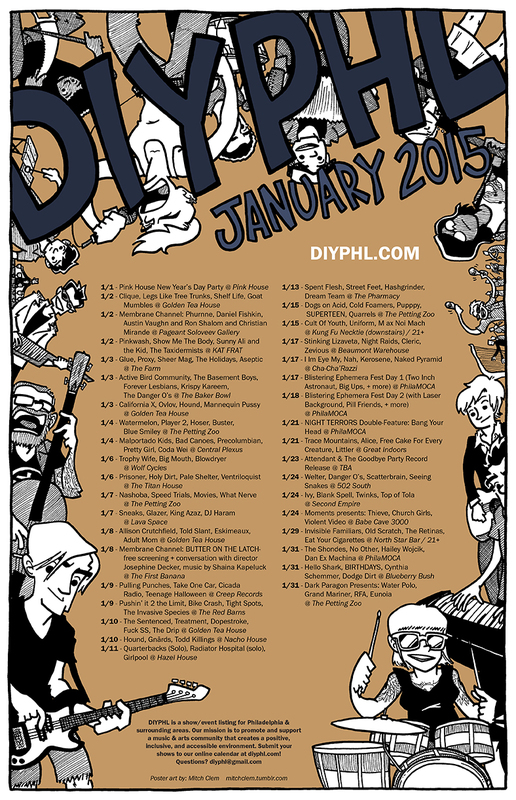 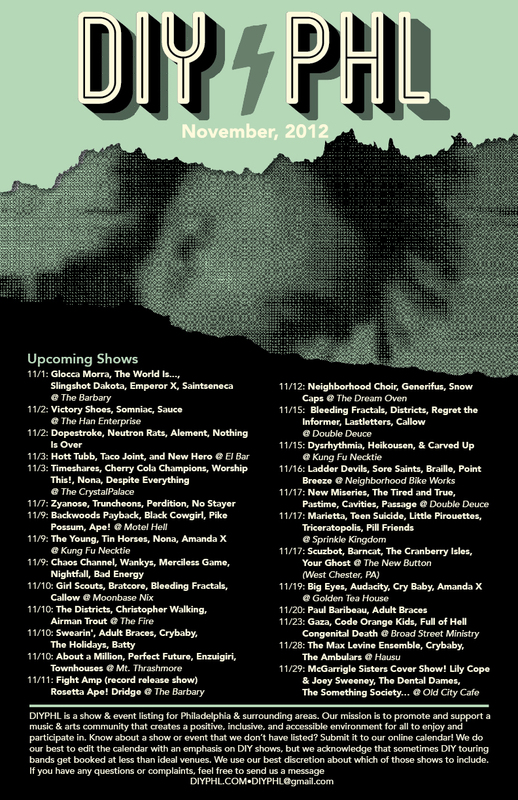 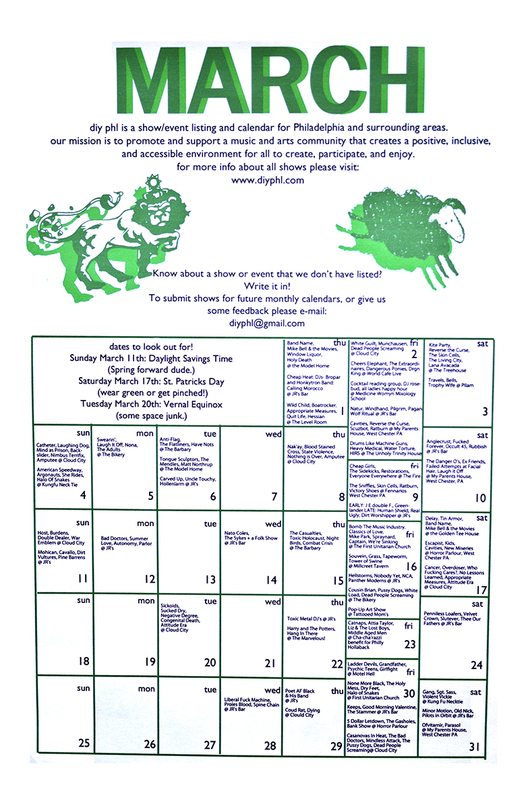 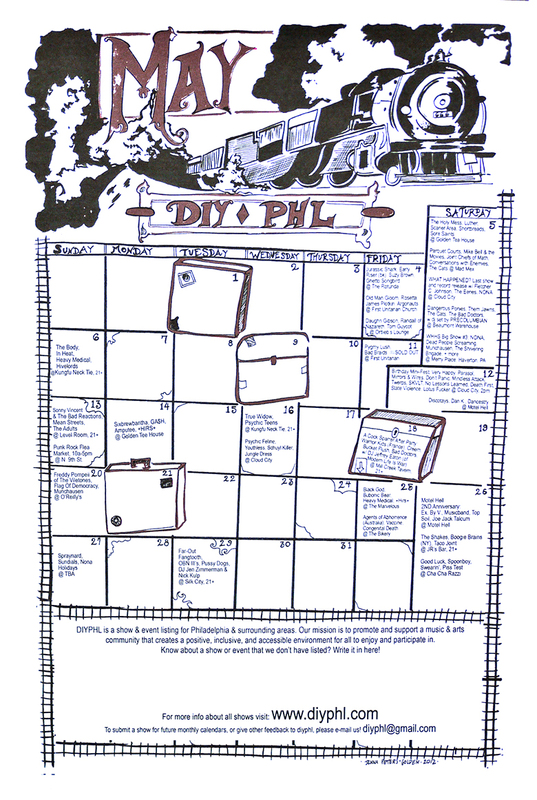 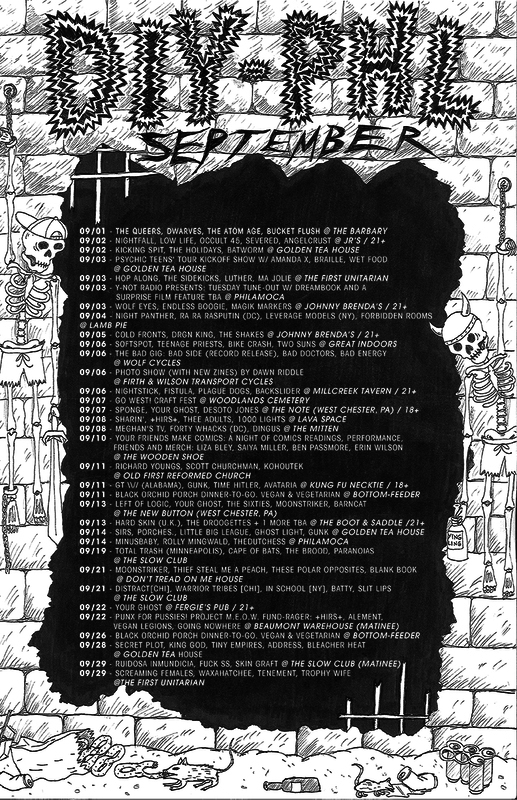 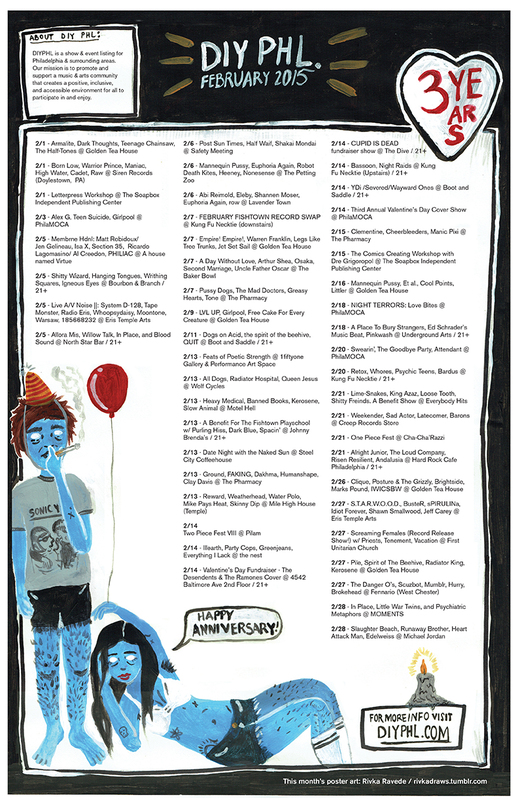 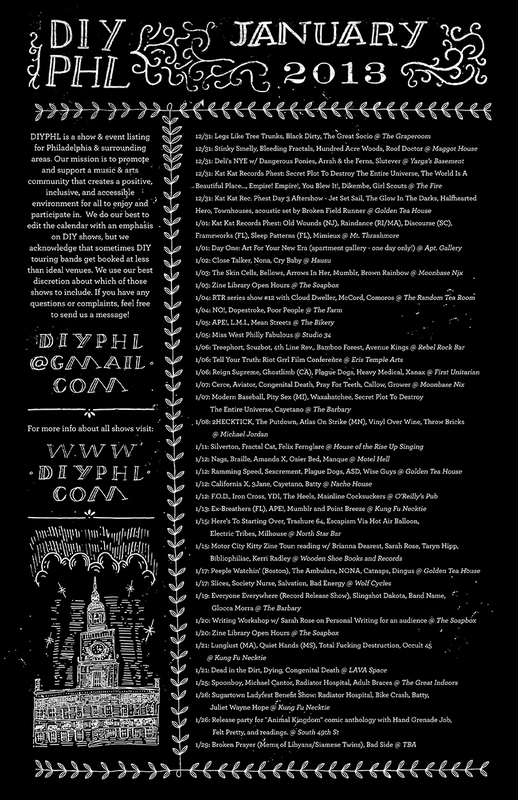 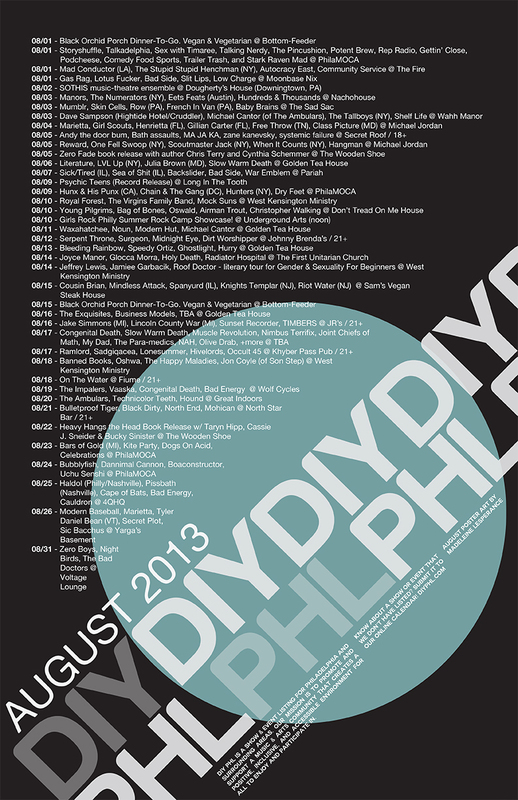 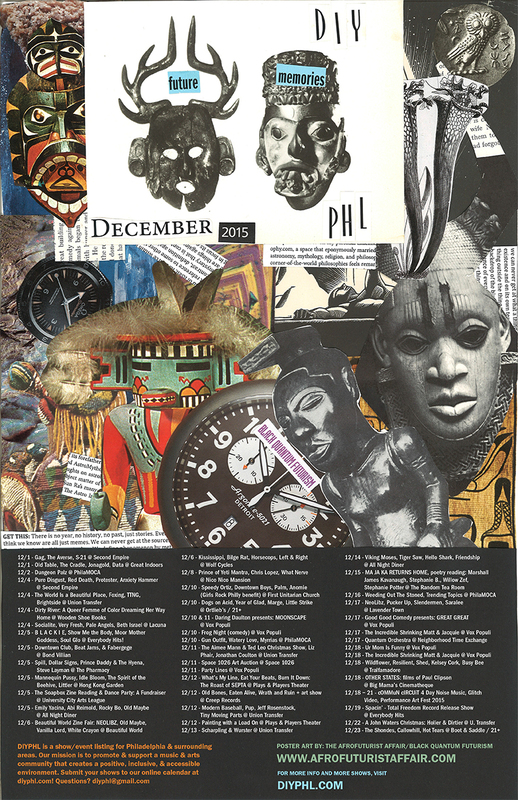 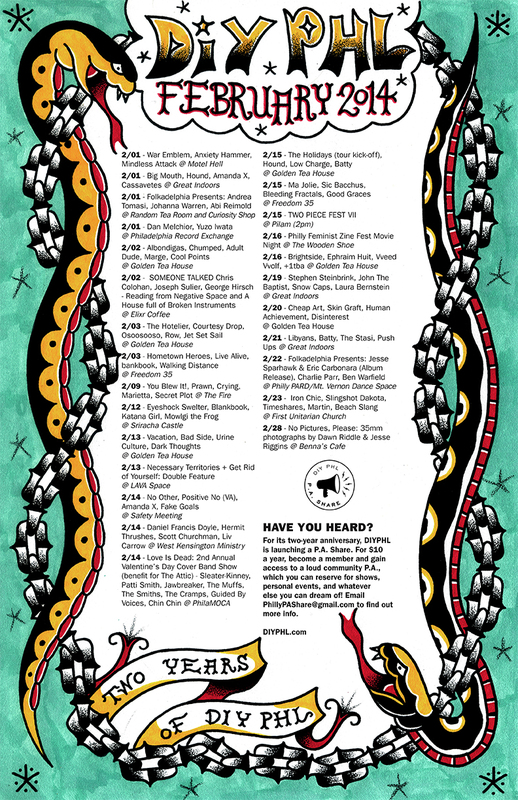 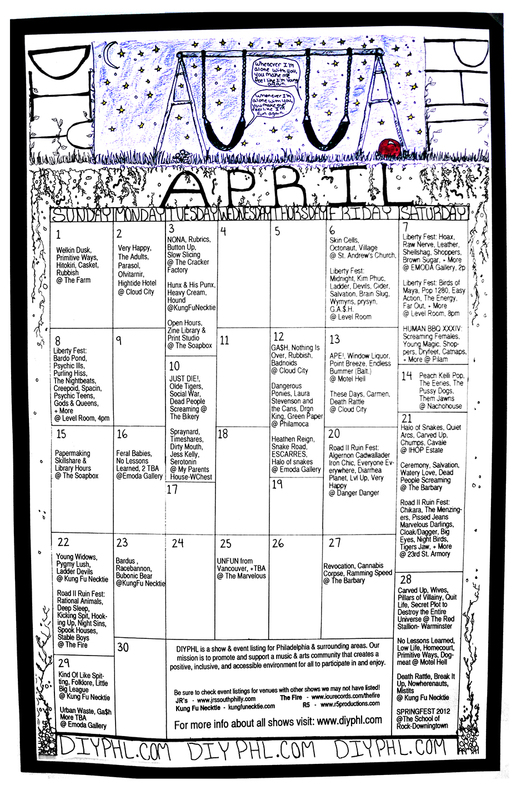 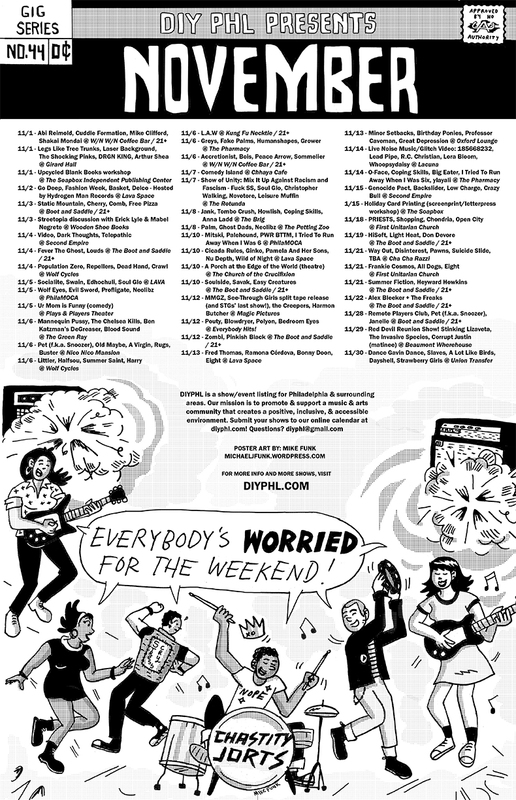 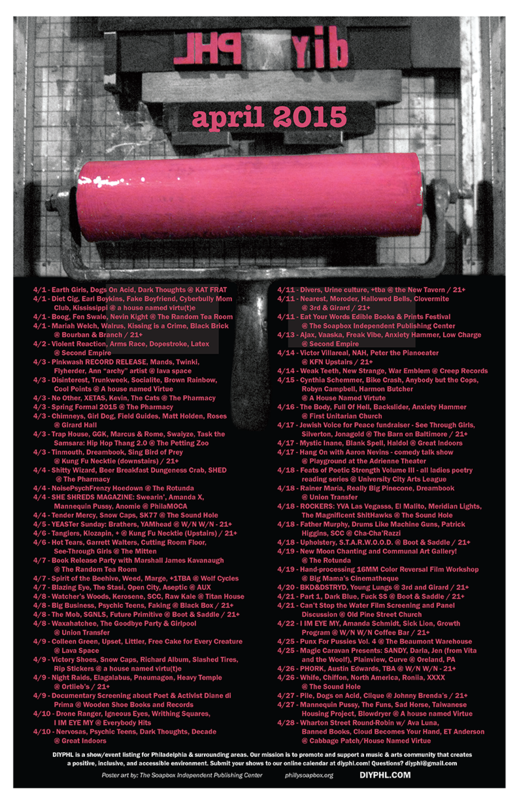 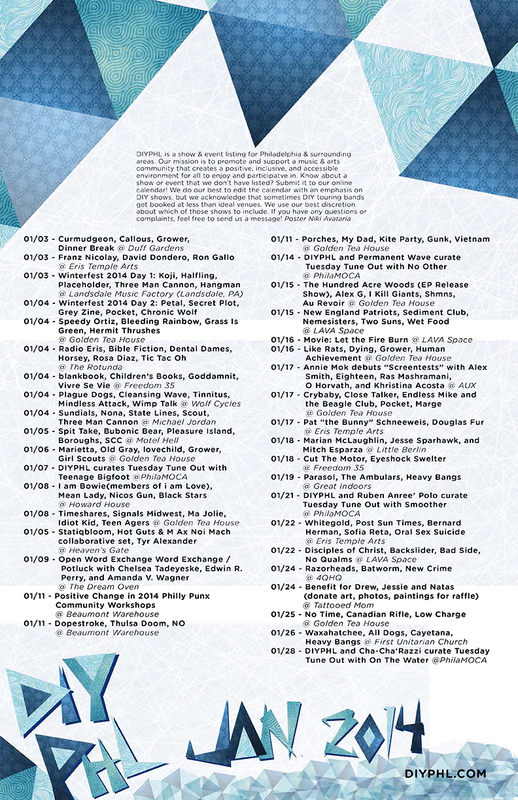 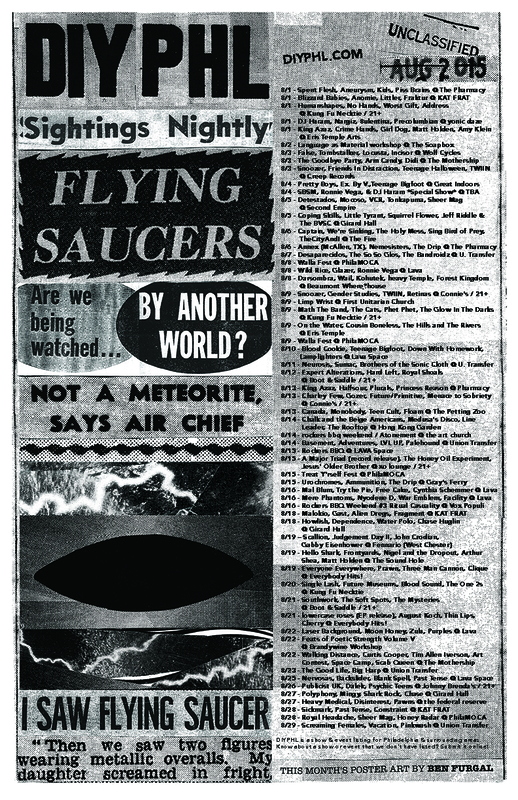 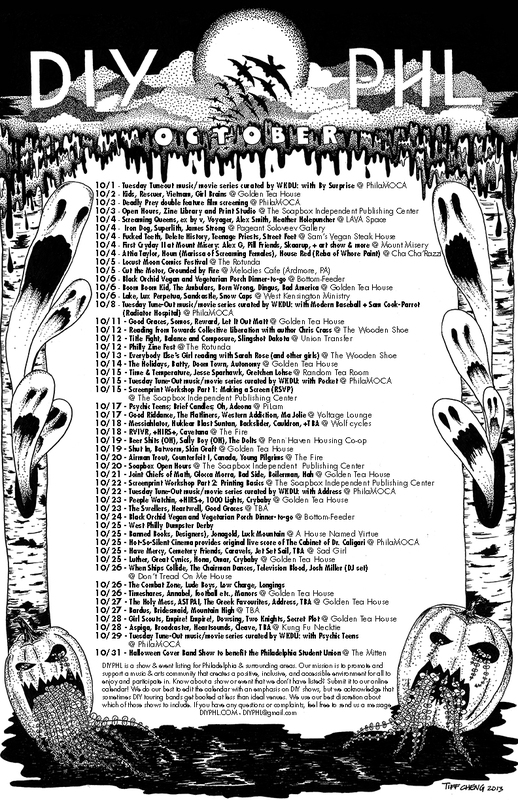 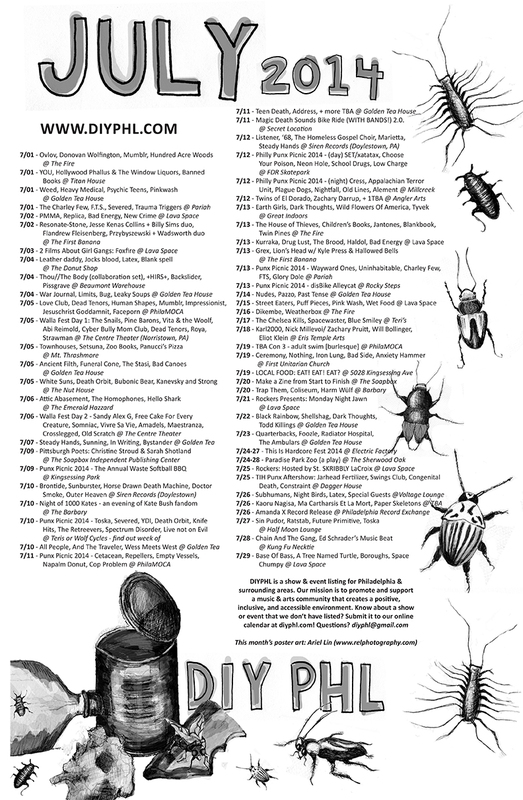 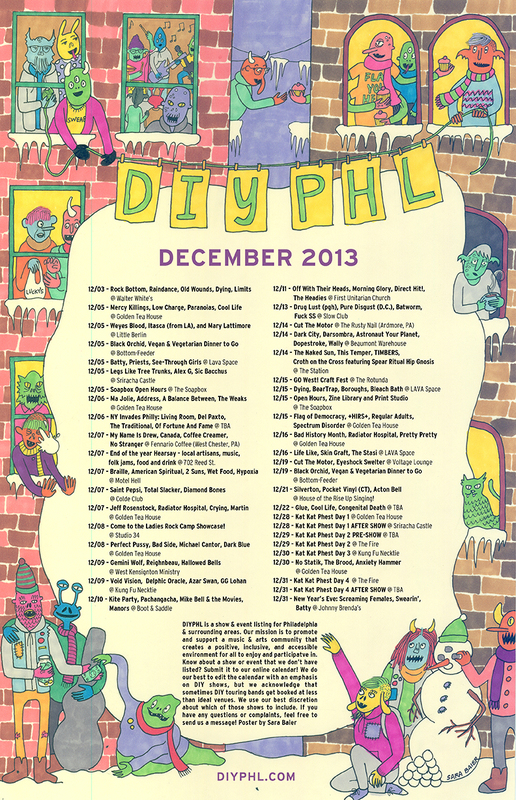 Check out all of the past calendars that have ever been done for DIYPHL. 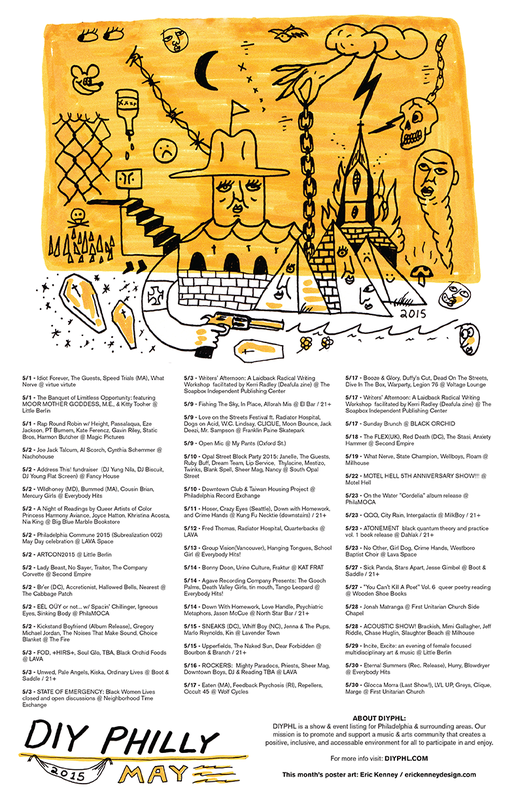 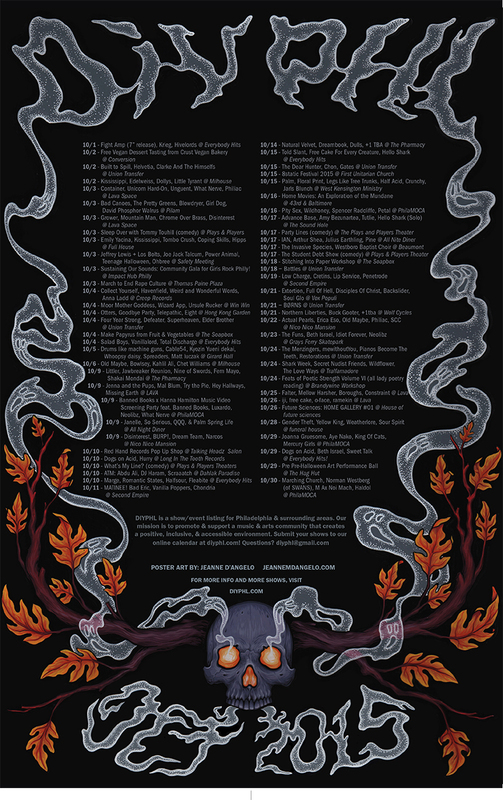 We currently have a long list of artists we're working through, mostly rolling and accounting for diversity, neighborhood, style of art, and music scene. 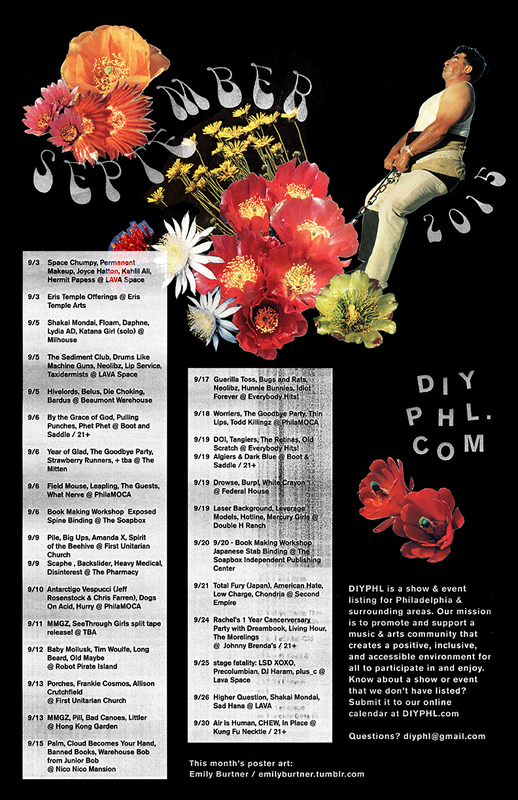 If you're interested in doing art for diyphl, please email diyphl@gmail.com!